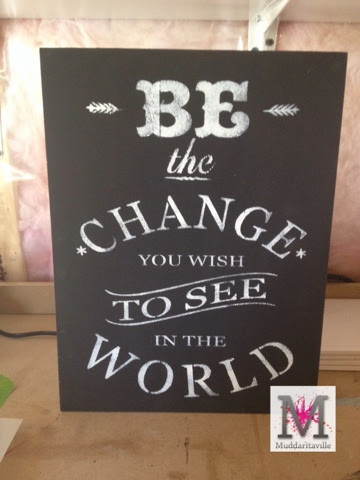 Do you love chalkboard art as much as I do? 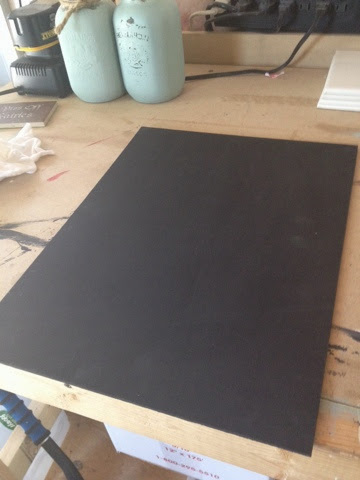 Would you like to paint signs that look like Chalkboards? 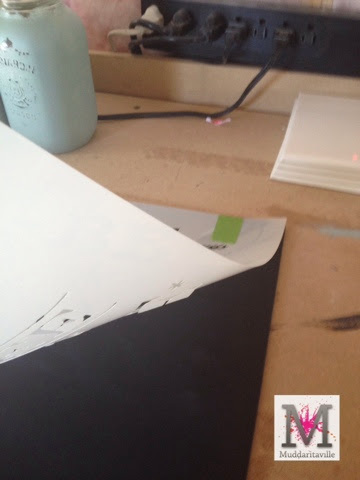 I attached my stencil with 2 pieces of tape wrapped around to the back so I can easily lift the stencil to check my progress. I call this hinging the stencil. 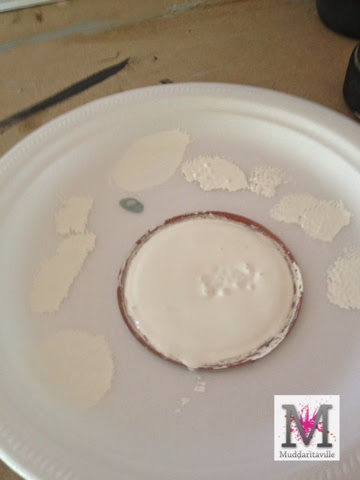 This is the lid from my studio paint jar, I don't need much paint so I'm taking paint off the lid. I'm using the colour Chalk from van Gogh Furniture Paintology. I dip my brush in the paint, I swirl the brush on the plate to load the paint into the brush then I pounce the brush to remove excess paint. 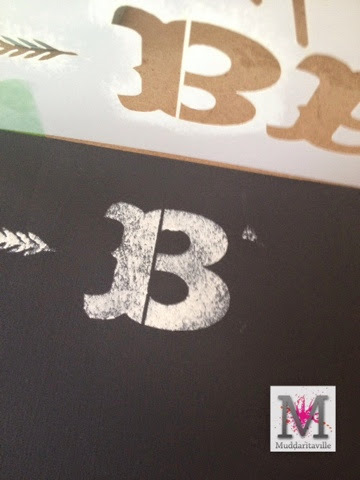 Remember, when stencilling it's easy to come back and add more paint but not as easy to remove excess. Less is best! For a Chalkboard effect I pounce my brush up and down. I am using a larger stencil brush that has coarse bristles to get this effect. 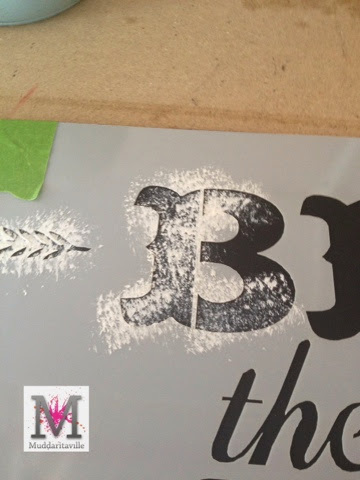 Also, you don't want to fill in the letter completely, apply less paint around the edges so the finished piece looks like you used dusty chalk. Normally when I stencil I like a firm soft brush that I can swirl in circles and get a soft blended effect but not on this one! I painted the first letter and wanted to check before moving on, this is why I love hinging the stencil on the board … lift, check, lower and move on. One last check before I remove the stencil from the board. Here is the finished board. I usually drill 2 holes at the top and use Hemp String as a hanger for these. 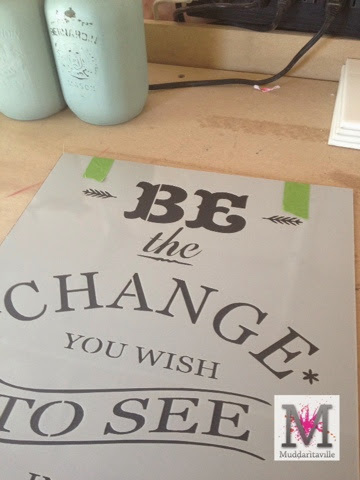 If you like this stencil I have a special offer for anyone who would like to purchase it. 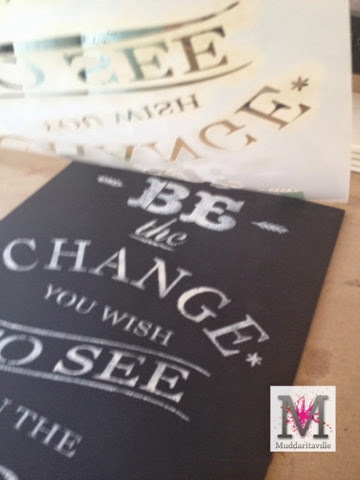 Use the code "BlogPromo" when you purchase this stencil on my website and you will receive $5 off the price.